Solar Night Eyes Dual Alarm Light | BUDK.com - Knives & Swords At The Lowest Prices! 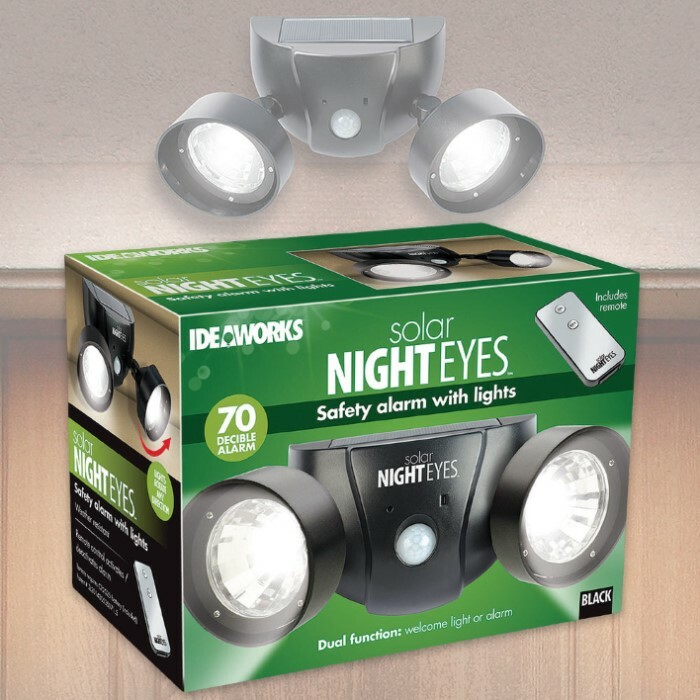 Protect your home from intruders by making sure that your property is safely lit. 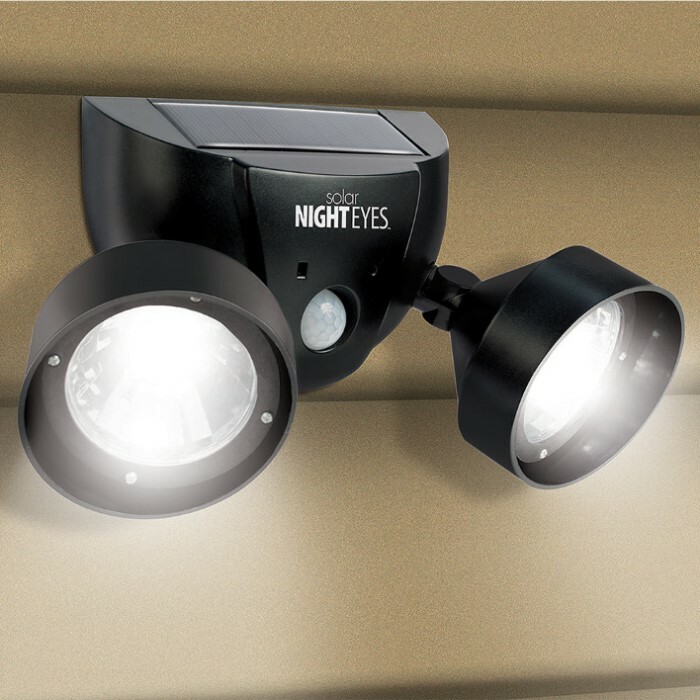 The Solar Night Eyes Dual Alarm Light has a one-two punch that will scare away unwanted guests. 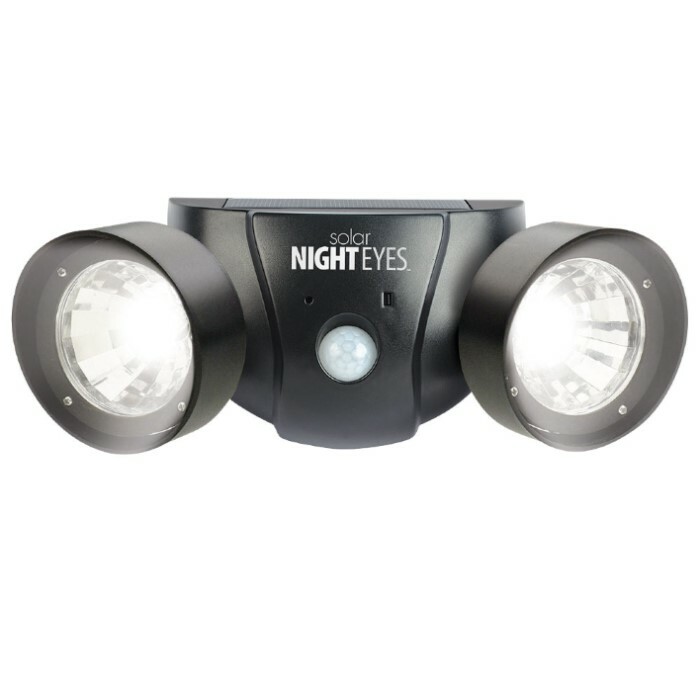 It is a solar-powered light that features super bright LED lights and it is a 70 decibel siren that comes on when motion is detected. The siren can be switched off so that it works as a regular motion-activated light. It also features a remote control that activates/deactivates alarm, solar panel and rechargeable batteries.